Whether you’re travelling abroad for business reasons or for a vacation, you need to make sure you’re travelling safely. 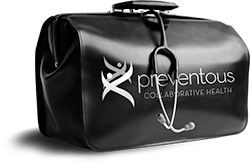 There are many risks associated with international travel and diseases are everywhere. According to the Public Health Agency of Canada, these are 10 of the most travelled to countries by Canadians. Travel vaccinations (immunizations) are suggested in many of these cases. You should also know the requirements of the country you’re travelling to. Particularly high on the list is Yellow Fever. Many countries require proof of Yellow Fever vaccination before you’re allowed to enter. We are a designated Yellow Fever immunization centre. Some countries have requirements for other vaccinations for diseases like meningococcal or polio. Be safe and book your travel consultation with us. We will let you know what diseases you may be at risk for in the countries you’re travelling to and we can give you the travel vaccinations to make you’re trip worry free. Book a travel consultation with us and get a comprehensive travel report. You’ll find out what vaccinations you need and you’ll get a complete report on travelling safely.